One In Three Adults Unaware Of Eye Health Risks Of Too Much Sun Exposure | KDT Optometry - Excellence Is The Only Option! USA Today (6/9, Healy) reports that wearing a hat and protecting eyes “from harmful UV rays” is as much a part of sun protection as slathering on sunscreen. 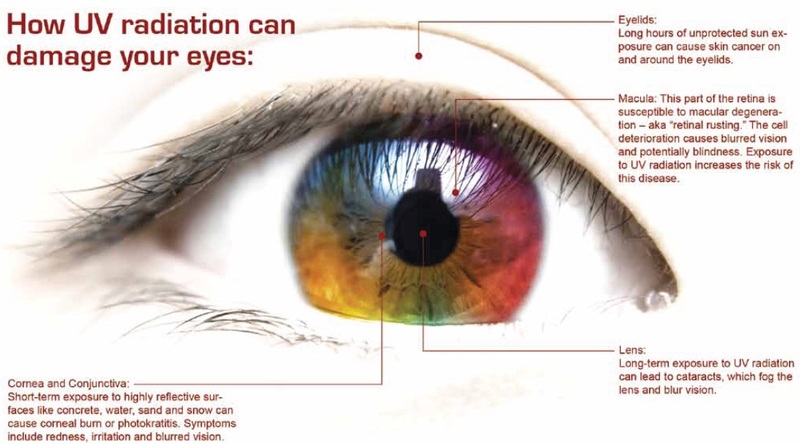 “A 2009 survey by the American Optometric Association found that one in three adults are unaware of the eye health risks of spending too much time in the sun without proper protection.” Excessive UV exposure may result in pterygium, macular degeneration, or cataracts. And, “even a few hours of intense, unprotected exposure can have consequences, says optometrist Sarah Hinkley of the American Optometric Association,” possibly leading to painful photokeratitis.